TRIO: VENUS, MARS & THE MOON… The brilliant Evening Star VENUS has been blazing in the evening sky. The red planet MARS has been drawing closer to Venus, as it prepares to disappear into the sunset. Soon thereafter, Mars will move behind the Sun in its orbit, as seen from Earth. 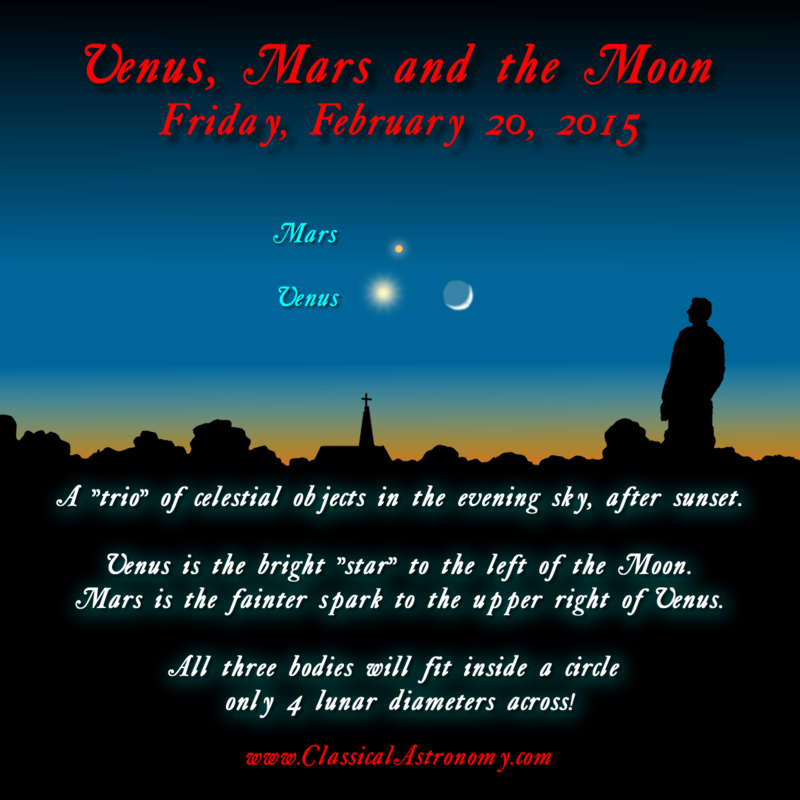 Venus and Mars come together TONIGHT, the evening of FRIDAY, FEBRUARY 20!!! If that’s not exciting enough, this pair of planets is joined by the waxing crescent Moon, forming a tight little cluster of heavenly bodies! Imagine how much fun that would be, being in your first month of reading our Moonfinder storybook with your little kids, and then to be able to observe a rare trio of bodies, with the Moon aligning together with these two planets in the evening sky!